You’ll create and maintain experiences across some of our 300+ web frontend properties. 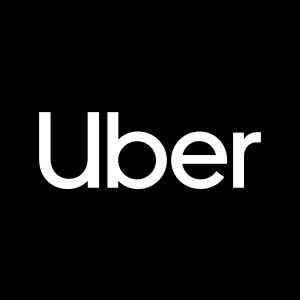 You’ll have the opportunity to impact our core ridesharing business, as well as emerging products like UberEATS, Uber Freight, mapping and self-driving cars. This team focuses on providing a high-performance, secure and reliable web ecosystem for all of our users (riders, drivers, eaters and our internal operations & logistics teams). Web Technologies. You’ve built side projects or professionally utilize the latest stacks and libraries such as Node.js, React, Angular, LESS, SASS, ES2015, CoffeeScript, etc. You are excited by the amazing pace that the web continues to evolve. You seek new methods and tools to make great websites faster and better, both on the front-end and back-end. Bias towards action. You believe that speed and quality can be achieved at the same time. You’ve shown good judgement, shipping as fast as possible, products that are built in a responsible and sustainable way. You’re willing to make mistakes along the way and make sure you learn from them. Make teams better. You can easily lead a team to the finish line or go deep on a huge challenge. You work well in fast moving teams and have no problem working with others to solve difficult problems. You support your team as much as your team supports you. Service. Your top priority is satisfying the client. It doesn’t matter what, how, or why something has gone wrong, you’ll jump in and take ownership of problems that might not even be in your team’s scope to ensure the customer is always getting the best experience possible.